Are you buying or selling property? Then our free real estate purchase agreement and other real estate purchase forms here will make sure that you have an easy time doing it. Making a real estate purchase or sale can be a long and winding process - To help you save time and money, our real estate purchase contract and other forms are all carefully worded in plain English with step by step mini-guides. Spotted your dream home or a cash cow property? Then grab our real estate offer form to send the seller an offer right now. If you are shopping for property, this form will help you lay down all the essential terms and conditions for a killer real estate offer. Not entirely pleased with the real estate offers you have received? Make use of our real estate counter offer form to sweeten the deal and make the terms more favorable for yourself. Uncovered a property that looks promising enough but not sure if you should go for the kill? Whether you are buying the property for yourself or reselling it for profit, our option to purchase form will help you reserve it first and give you time to decide. 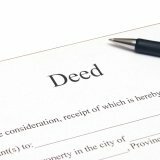 If you are ready to buy or sell a property, then this is it - The all-important contract that you will need to seal the deal. In a nut shell, a real estate purchase agreement will lay down the personal particulars of both parties, details of the property, terms of the sale and who should pay for what. Exposing the physical defects, natural hazards and legal worries of a property isn't what most home sellers want to do... but it's fast becoming a legal requirement in more and more areas to bundle your real estate purchase agreement with a real estate disclosure statement. 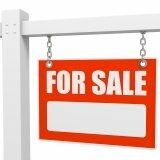 Are you (1) selling a residential property (2) built before 1978 (3) in the United States? If your answer is yes to all of the above, then it's a legal must to give your buyer a copy of our lead paint disclosure form and lead paint pamphlet here. Whether you call it rent to own, lease purchase, lease to own or lease option, our free contract here will help you work out a winning deal quickly and painlessly. Found a person you can trust to buy or sell real estate on your behalf? Then our limited power of attorney for real estate will allow you to appoint someone to carry out real estate transactions in your name... so you won't even have to be there in person to close the deal.